Zenmap is the official Nmap Security Scanner GUI. It is a multi-platform (Linux, Windows, Mac OS X, BSD, etc.) free and open source application which aims to make Nmap easy for beginners to use . 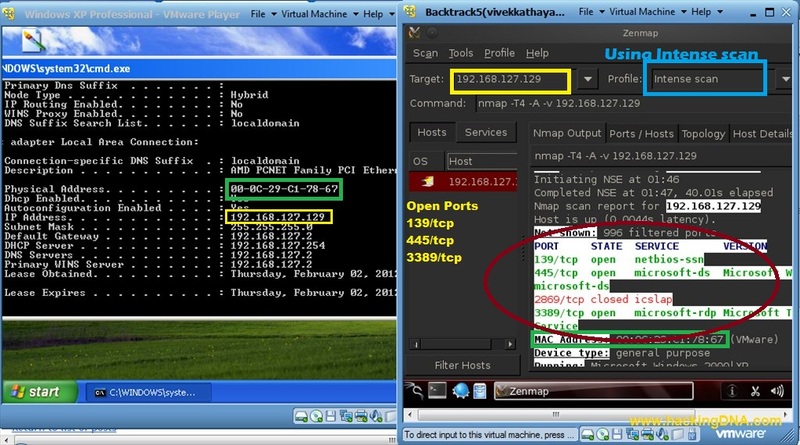 After this step you have to enter the ip4 address of Target OS (here i use windows as a target system and its ip is 192.168.127.129. Here i use intense scan and click on Scan Button. After scanning the next window shows you all the ports which are open in windows XP . This is how we scan the Target system for open ports on windows Operating System. does it need 'Dragon Player' to run Zenmap?